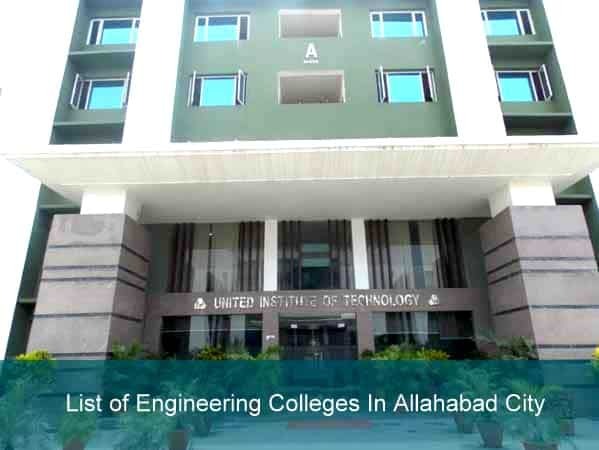 List of Engineering Colleges In Allahabad (UP): Allahabad city is the most developing city in India and World with the title of fastest growing city with a 130th number according to data of 2011. Since data is old, our team say in the next survey it will jump to under 70 marks. Are you looking for the list of engineering colleges in Allahabad, then you have clicked on right website here below you will find the list of colleges/university from where you can do your engineering courses? In this list, you will get details like their address, official website, and type of management they follow. City, where three rivers meet, is Allahabad; it is also famous for historic Hindu temples. Allahabad in recent time has become higher education attraction place in India and the world as it has many popular and top engineering colleges. Allahabad city is one of highest literacy in India according to census 2011 with 72.32%. Students from many states apply for getting admission here. Go below and look at the list, but before selecting the desired college for admission, you should look at a particular factor like teaching faculty, administration, past placement record, affiliation & accreditation, type of company come for placement like tier 1, 2, 3. The list below compresses both government and private label university/college. In order to get admission, colleges consider JEE Main score card or UPSEE merit list which is a state level entrance test for a seat in engineering college. In this decade engineering courses like Computer science, communication, Information Technology.